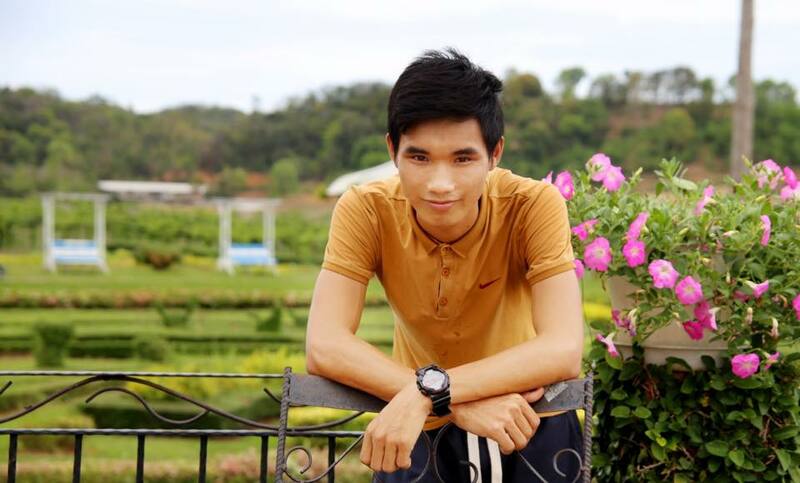 Hoa, 22, was accused of “conducting propaganda against the state” under Article 88 of Vietnam’s Penal Code. The charge was related to his reporting on protests that followed an environmental disaster which led to tonnes of dead fish washing up across Vietnam’s central coast in April 2016. 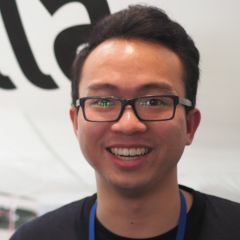 A security trainer and regular contributor to Radio Free Asia, Hoa was detained in January 2017 and initially charged with “abusing democratic rights to infringe upon the interests of the state”. The charges against him were changed in June without reason, according to his family. Citizen journalists and bloggers who reported on the Formosa disaster have also faced lengthy sentences. One of them is blogger Mother Mushroom, who was arrested in October 2016 and charged with “conducting propaganda against the state”. 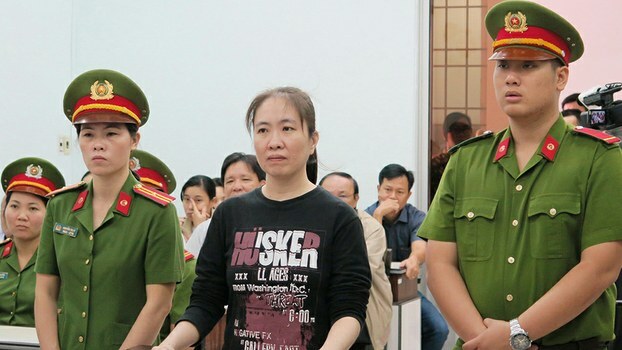 Nguyen Ngoc Nhu Quynh (center) attends her appeal trial at a court in Nha Trang, Nov. 30, 2017. Photo courtesy of Radio Free Asia. Lawyer Vo An Don ̣(fourth from the right), with a group of people waiting outside the courtroom during Mother Mushroom’s appeal trial. Source: Facebook page of Vo An Don. 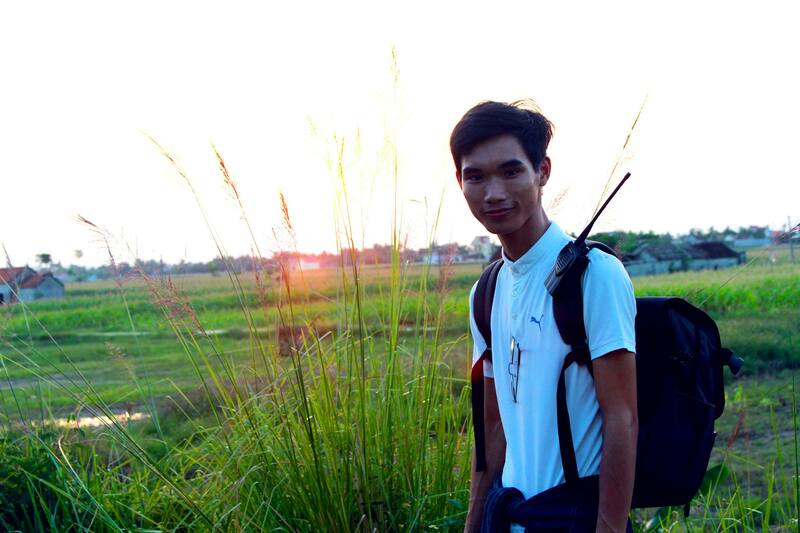 The two cases are part of the Vietnamese government’s wider crackdown on free expression. More than 25 activists have been arrested, issued arrest warrants or exiled since January 2017. 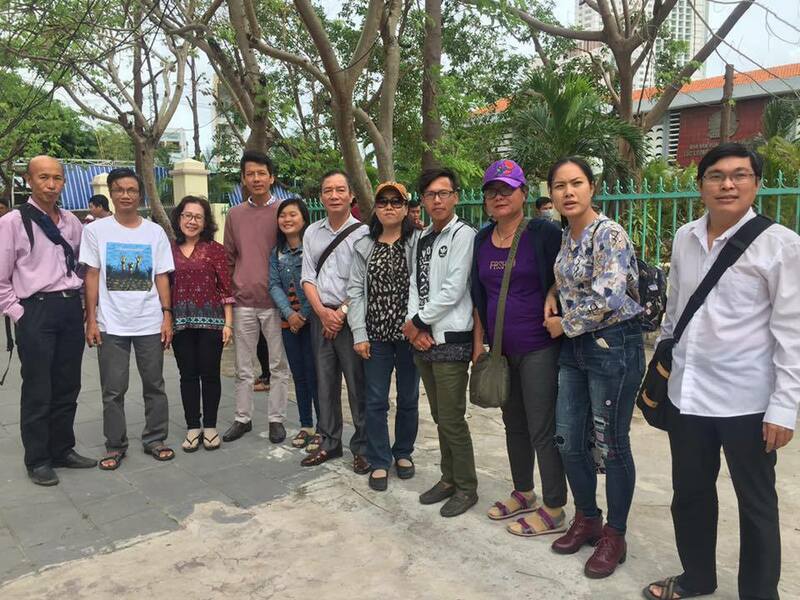 The harsh prison terms handed down by the courts to activists like Hoa and Mother Mushroom are troubling signs for the state of human rights in Vietnam.